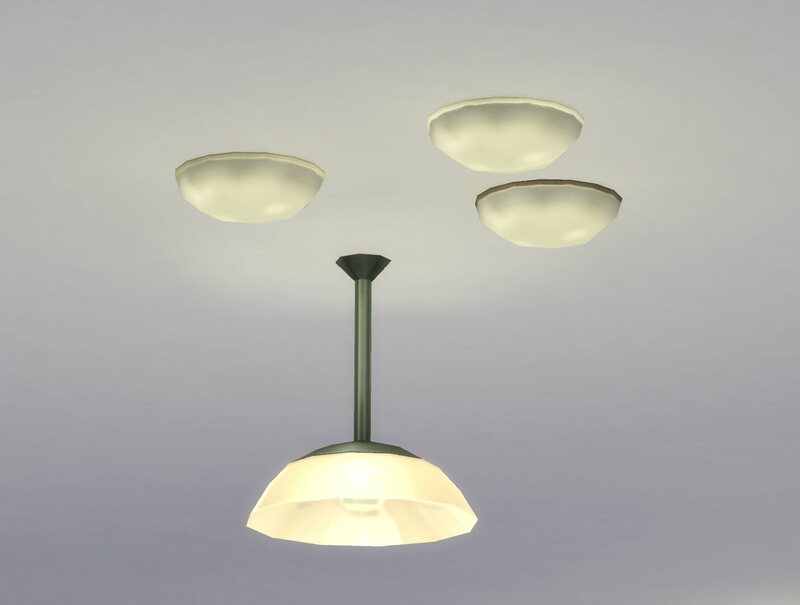 Default overrides for the Kids’ Ceiling Light in white and grey, without the stencil and at half the original size -- maybe they can now actually be used for something. 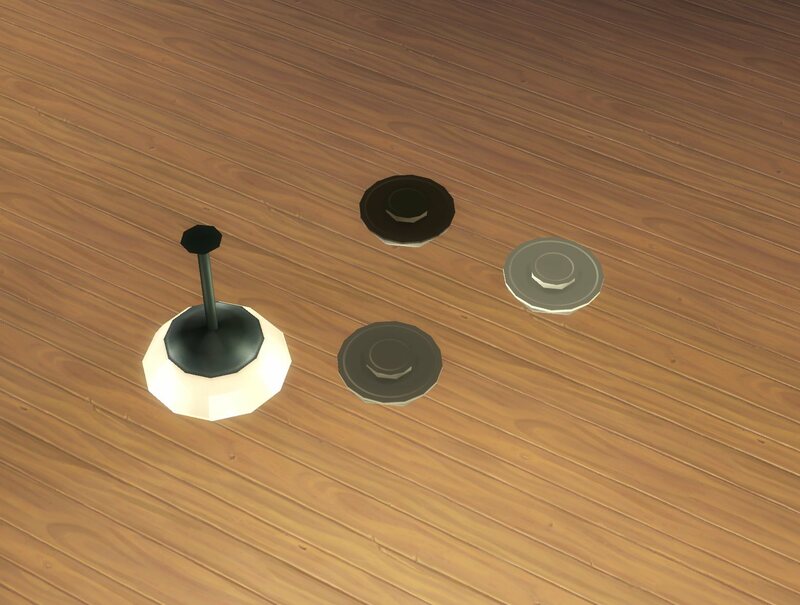 Because they are smaller I also made them a little cheaper; they still resize like all other objects (up one and you’re back at the original size). That other lamp is not changed, I only put it there for scale. 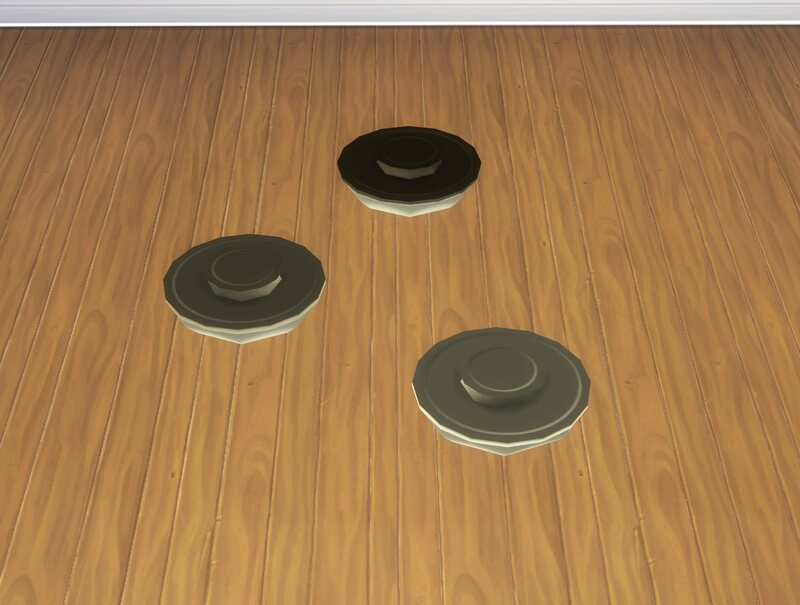 Overrides the COBJ/OBJD and diffuse textures of these, and adds a custom rig and STBL.